Even solar households can benefit from improved energy efficiency. The better you utilise the solar electricity you generate, the more you’ll save on power costs. Whether you have solar panels installed on your rooftop or not, these energy efficiency tips may help you further slash your electricity bills. If you’re using electric heating and air-conditioning and your home doesn’t have proper insulation. This is something you should attend to as soon as possible as heating and cooling are incredibly energy intensive applications. You’ll be amazed how much you can save by ensuring gaps around windows and doors are sealed up and your home is properly insulated. Also consider the use of blackout curtains as windows are major point of heat loss during winter and heat gain over summer. Ceiling fans aren’t just good for summer, but for winter too. If you install a ceiling fan with a reversible direction function. During winter, set it to spin the opposite way it does over summer, which will push heat down. Roof turbines (whirly-gigs) can dramatically decrease the temperature of your roof space during summer, which in turn will decrease the temperature of the rooms below, particularly if your roof isn’t insulated. Even over winter they are of benefit as they reduce moisture in the roof area which can affect the performance of insulation. Experiment with your air conditioning and heating thermostat. By dropping the temperature a little over winter and raising it similarly over the summer, your family may not even notice. And you’ll save a stack of electricity. A well maintained heating and cooling system will help ensure maximum efficiency, so ensure yours is serviced regularly. As with heating and cooling your home, the heating of water is also a very energy intensive process. Consider a heater blanket if you have an electric hot water system – these are very cheap to buy. All exposed pipes should be covered in insulation lagging to help minimise heat loss. Enforce a showering time limit in the home – the use of timers can help encourage shorter showers. If you are considering replacing your hot water system, consider a solar hot water system or heat pump. Generous rebates are available when switching from an electric hot water system! Line drying is preferable to electric clothes dryers. However, when you have occasion to use them, make sure the lint filter is free of build-up and there is plenty of air circulation generally around the dryer. Open a window if possible while using the dryer to allow humidity to escape as this will help your clothes to dry faster. If you use currently use hot water in your washing machine, consider switching to cold. Today’s detergents are very effective and a cold water wash will likely be all you need for most loads. Some washing machines also offer eco-options that use less water and shorter cycle times. Experiment with those settings also. When using a clothes dryer, the energy used by a faster or longer washing machine spin cycle should more than offset the energy used by the dryer on what would be otherwise damper clothing. When using an electric stovetop, use correctly sized cookware. A pot or pan that doesn’t entirely cover the element will result in major heat waste, which means your food will take longer to cook and more electricity will be used. Keeping a lid on pots and pans will help build up heat faster – and keep it in. When boiling water for cooking, it’s more efficient to use your kettle or microwave instead of on an electric stove-top hot plate. If you have a microwave and a stove, use your microwave for cooking wherever possible as it will use anywhere from a third to a half of the electricity consumed by a stove. By ensuring your electric oven light is working and the glass panel is always clean, you won’t need to open the oven to check on your food. Each time you open an oven you lose a great deal of heat which extends cooking time and electricity usage. When cooking with an electric stove or oven, you can switch it off just before your food is done. There will be enough residual heat to complete the cooking. If boiling the kettle for a cuppa, only add as much water as you need in the kettle. When it comes time to replace your cooktop, consider an induction model. These are far more efficient than electric elements – even more so than gas! Ensure the seal of your refrigerator is in good condition as even small imperfections and gaps can affect electricity consumption. Your fridge should also be located out of direct sunlight in an area with good air circulation all round – particularly newer fridges with the coils inside the cabinet. The coils at the back of old fridges should receive dusting regularly, which will also help with performance. Regularly defrosting your fridge and freezer will also help to conserve electricity. Adjust the settings of your appliances to match the season. You’ll find in winter you can set your fridge and freezer to a much higher (warmer) setting. Just because a kitchen appliance isn’t in use it doesn’t mean it’s not consuming power. It’s a good idea to switch appliances off at the wall rather than just on the appliance when you’re finished. If you’re still using old incandescent globes; make the switch to CFL’s or LED lighting, which require much less electricity to operate. Most of the energy to an incandescent globe converts into heat rather than light, so in summer they can also add to your air conditioning costs. Instead of lighting a whole room, just light areas that need it . This is task-based lighting. Switching from a desktop computer to a notebook can save over 50% of your computing related electricity consumption. As with other appliances, turn off your computer at the wall when not in use or recharging as this will eliminate standby power consumption. Experiment with your computer’s power saving options. Set your screen brightness as low as possible without it straining your eyes. The brighter the screen is, the more power it consumes. If you use a screen saver, set it to just a blank screen. Animated screen savers are processor intensive, which consumes more electricity. While only small, households tend to accumulate many gadgets such as cell phones. These are usually appliances that can charge at night time when electricity is cheaper. Once a phone, handheld or other portable device has full charge, it continues to draw power while the plugged is in the socket. Make sure the switch is off at the wall when charging is complete to minimise standby electricity consumption. This is also known as phantom power load. The next home energy revolution is rapidly approaching, which will give you more control over how and when appliances use energy. Smart homes incorporate systems enabling the control of appliances automatically and remotely via the internet using a device such as a cell phone. Learn more about smart homes and home automation. Beyond energy efficiency, there is another way to save on electricity bills – shopping around retailers. For solar households, while there is mandated minimum that must be paid in states offering feed in tariffs, some retailers offer higher payments or different conditions that may be better suited to you, so be sure to shop around for the best deal for your situation. Shopping around for a retailer also applies to non-solar households – total costs over a year can vary wildly between retailers! If your solar feed in tariff is significantly lower than the market rate for electricity, it makes more sense to consume more power during sunny days. If you’re on one of the earlier, more generous feed in tariffs; then shifting energy usage to off-peak periods makes more sense; in order to maximize solar exports to the mains grid and your financial returns. An important point – as you replace your appliances, pay special attention to energy efficiency ratings and consumption and load. The latter will become increasingly important in relation to demand charges. Also consider each purchase carefully – do you really need the item? We often fill our lives with power sucking gadgets and gizmos we don’t really need. When replacing power hungry appliances with more energy efficient equipment; if the old appliance is still working perfectly, don’t send it to landfill. Sell it, trade it in or give it to a charity that may be able to use it or will sell it to someone else who may not be able to afford a new energy efficient appliance. You could even consider repurposing it – for example, old fridges make excellent storage units for a shed! Also check with your local council for recycling options. Though not really one of our energy efficiency tips, re-using, re-purposing and and recycling are good for the planet. And thrifty. 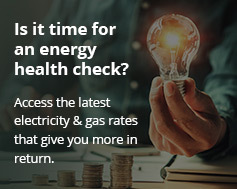 Aside from making more money from net feed in tariffs by being more efficient in your electricity use, by minimising your mains grid consumption, following these energy efficiency tips mean that you’ll also be helping to further reduce Australia’s greenhouse gas emissions!